It has been a busy few weeks for MLB pitchers returning from injury, whether they were among the large number that had Tommy John surgery last year or came off shorter runs on the disabled list. For our MLB Fantasy roundup covering Week 14 of the season, we discuss the pros and cons of activating or trading for some of these pitchers back on the market. Here are scouting reports on five pitchers that could help your Fantasy team the rest of the way in 2015. 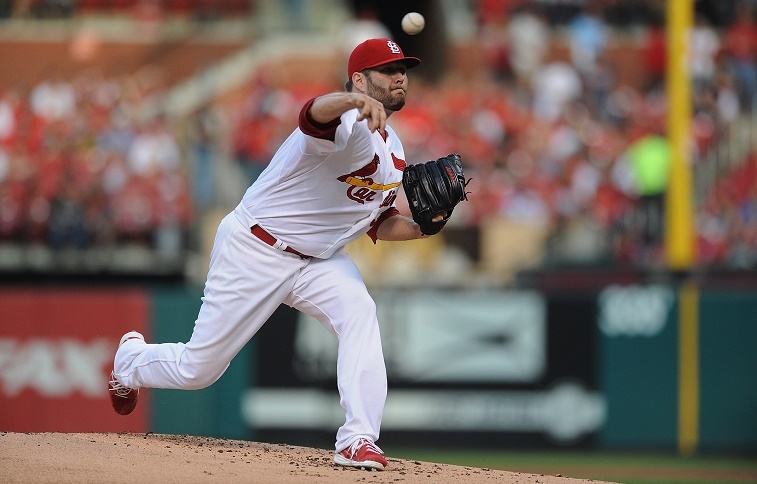 There was no major calamity for Lance Lynn, but the Cardinals right hander did suffer a forearm strain than landed him on the DL for 15 days in early June. Over two starts since the DL stint, the prognosis for Lynn seems excellent, especially if your particular league rewards pitchers for quality starts (QS) as well as wins. Lynn is a QS machine and with St. Louis hitting behind him there are many wins available in that right arm. The pitcher formerly known as Super Nova has logged two starts for the Yankees after returning from the long Tommy John surgery rehab. 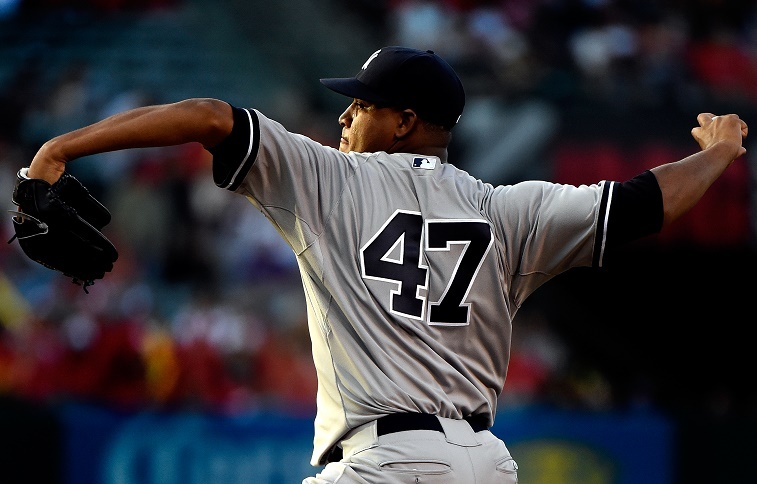 In 12.0 IP, he’s allowed 11 hits, 4 BB, and 2 ER while notching 8 SO. While he had a blowout to work with in his first start, his second outing found him in a pitcher’s duel, and Nova acquitted himself well with 7 SO and 2 BB in 5.1 IP. He unraveled a bit in the sixth, allowing solo shots to Albert Pujols and Erick Aybar, then got the hook after a Matt Joyce double. Fangraphs PITCHf/x shows Nova’s average velocity up from his career numbers, which you sometimes see in a return from Tommy John. The improvement in his control in the second start is also encouraging. On the negative side, his FIP is around 5.00 for the two starts, albeit in a very small sample. For the two-start week ahead, Nova is a solid gamble, though he’s not worth a high price on the trade market. How do you make the most anticipated start of the 2015 MLB season? 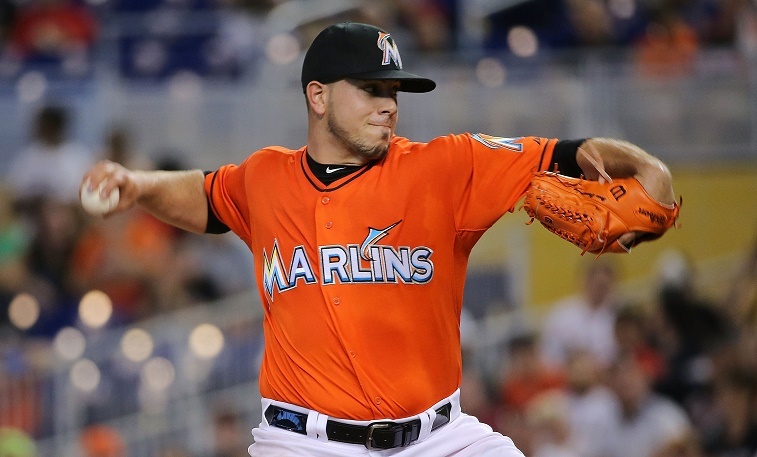 Follow the Jose Fernandez model and hit a home run in addition to tossing six innings with 6 SO and 0 BB. There were some nightmarish blips (i.e., a Gregor Blanco home run) along the way, but once Fernandez settled in he showed off his strikeout stuff and moxie that made him famous two years ago. He’s worth a big investment on the trade market as he returns to full strength in the coming months. While Jose Fernandez made his comeback on July 2, Giants pitcher Matt Cain was making his own return from the disabled list as the opposing starter. 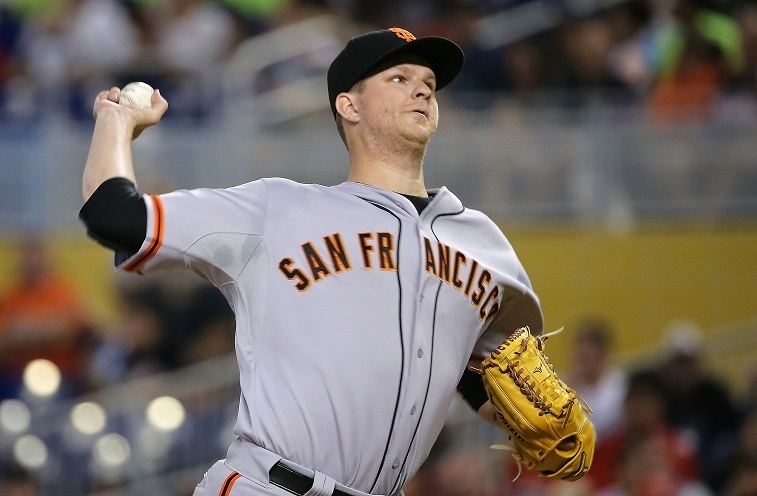 Cain had not yet thrown a pitch in 2015 after a variety of injuries, and the rust showed. 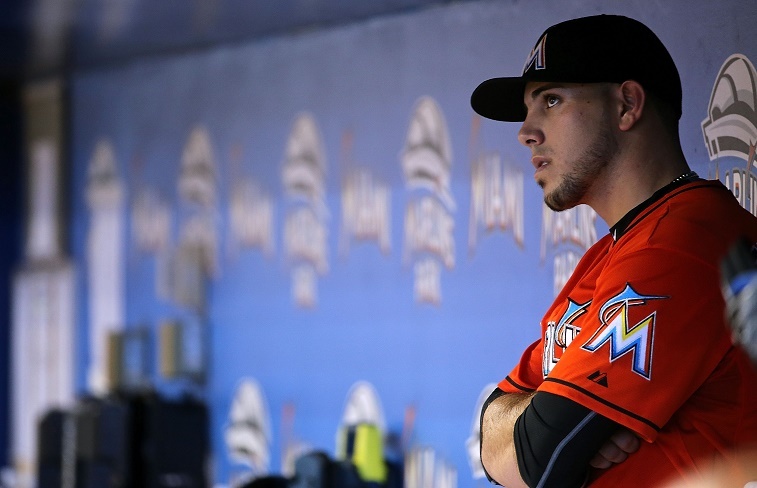 Along with a home run to Fernandez, Cain allowed a screaming three-run bomb to the Marlins’ Justin Bour. Through 5.0 IP, Cain served up 5 ER and 11 baserunners (4 BB) in the losing effort. Clearly, he is not worth much of an investment, but Fantasy owners may want to watch him until we have a better picture of his abilities. 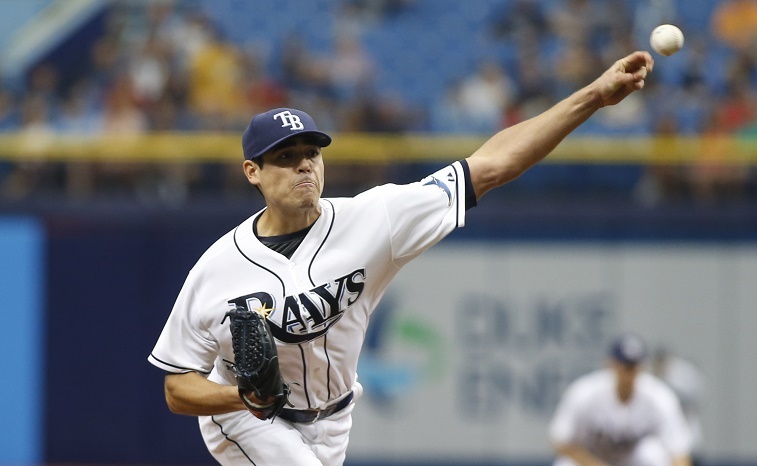 In his first start back after Tommy John surgery, the Rays’ Matt Moore didn’t make it through five innings and allowed 4 ER in a no-decision versus Cleveland. There were positive signs (three scoreless innings to open the game) as well as negative signs like his inability to close out Cleveland in the fifth. Moore did put up a 3:1 K/BB ratio in his rehab appearances, so there is reason to expect better control and stamina ahead. He’s worth a moderate investment for owners desperate for second half pitching. Stats, current as of July 3, are courtesy of Fangraphs.